I have to be honest, when New-AX-HLE was merged I was very skeptical. After testing it and seeing the audio for so many games get fixed, I became a huge fan. It's amazing to see this much progress in such a short time. Dolphin just keeps getting better! Can't wait to see how the devs will surprise me next. Hopefully next step is to fix the volume issues with HLE and some games that still output the incorrect tone. Two examples of the latter issue are the magic meter in Windwaker and the intro of Sky Station Galaxy - Storming the Sky Fleet in SMG2. There may be other issues but I'm not aware of them. 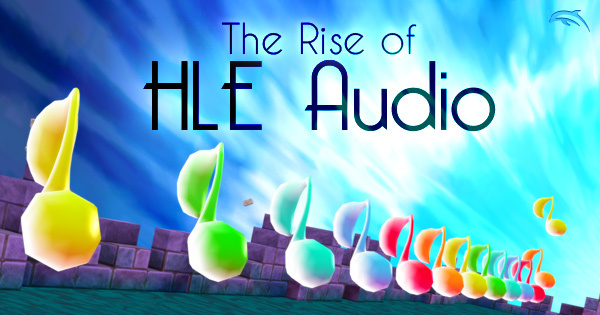 In any case I don't think there's much more to do with HLE audio to make it on par with LLE. The progress of audio emulation alone in Dolphin is an amazing feat. I remember when barely any games had audio and audio in Zelda/Mario games was but a pipe dream due to lack of documentation on the DSP. Keep up the good work Dolphin team, amazing job and amazing developers that manage to always surprise us with something. Out of curiosity, which game supplied the audio for the AUX Processing comparison? (11-13-2014, 06:01 AM)Aleron Ives Wrote: Out of curiosity, which game supplied the audio for the AUX Processing comparison? That's the BGM of the main menu of Tales of Symphonia. I edited the description on the example to say what game it is from. Thanks! Cheers! The only thing I found a bit confusing in the article was that it didn't seem to actually say what "AX" is anywhere. That information is contained within delroth's lengthy explanation (which was linked three times in the article), but the bit about AX, "Zelda", and JAC being the three UCode types used by most games might make the article clearer for those users who aren't willing to brave delroth's post. Nobody in their right mind would speed up the audio when they're trying to play games. Not the best way to convince someone that accuracy is good. One potential use case would be playing back a recording to AVI and having the audio sync, even if you don't get 60FPS. Yet that use case is not mentioned. The rest of the video is fine. We weren't trying to say that more synchronous audio sounded better at a low framerate, we were trying to say it was more accurate.